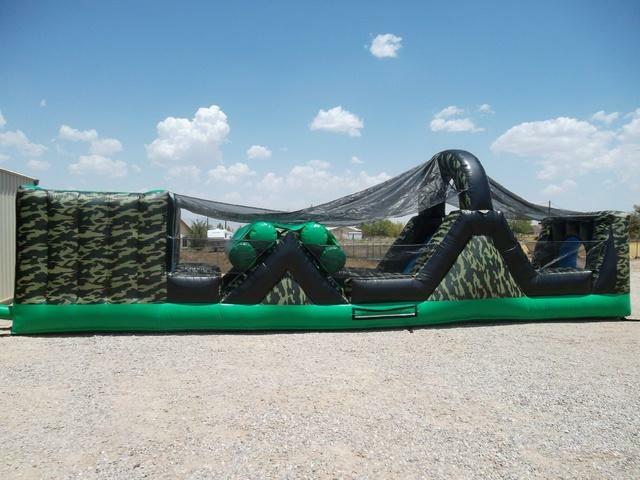 This is 2/3 of our full size camo obstacle course. A very large obstacle course non the less. Over 60' of fun and obstacles, 2 slides. Covered for additional shade.